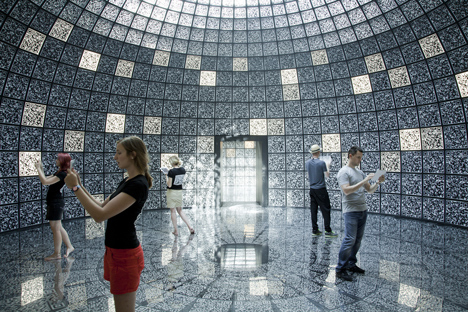 The top floor of the Russian Pavilion at the Venice Architecture Biennale opens to a vast amount of surfaces covered in QR codes. 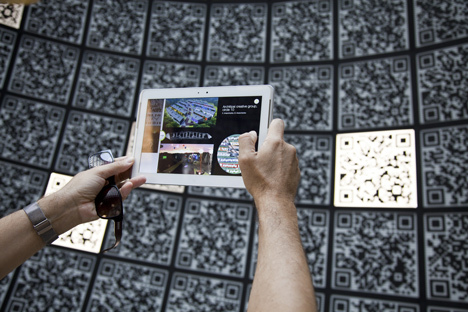 Visitors can decode these using their tablet computers, iPads or iPhones to explore the meaning behind them all; ideas for a new Russian city which is dedicated to science. 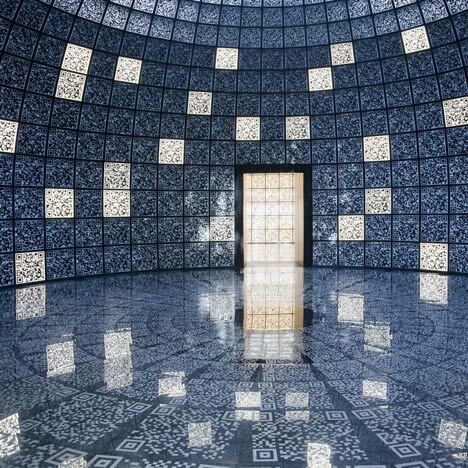 In contrast to the top floor of the building, visitors can peer through lenses to catch a glimpse of the secretive science towns which were established under the Soviet Union downstairs. The architectural team behind this phenomena are: Pierre de Meuron, Rem Koolhaas, Kazuyo Sejima and the Venice Architecture Biennale’s director David Chipperfield. Below are images of how the exhibition works. I think this is a great way for the general public to engage themselves with the latest technology, and at the same time, be able to see the ideas behind a city which will inevitably serve a gracious purpose in the future. Have you enjoyed reading the latest finds? Let us know in a comment below! This entry was posted in Architecture, Interiors, Other and tagged Architects, Architecture, Art, Design, Dezeen.com, Exterior Design, Interior Architecture, Interior Design, Interiors, Masterpiece, New Finds, Opinions, Patterns, Science, Social Networks, Technology, Traditional Interior Design, Traditional Interiors.